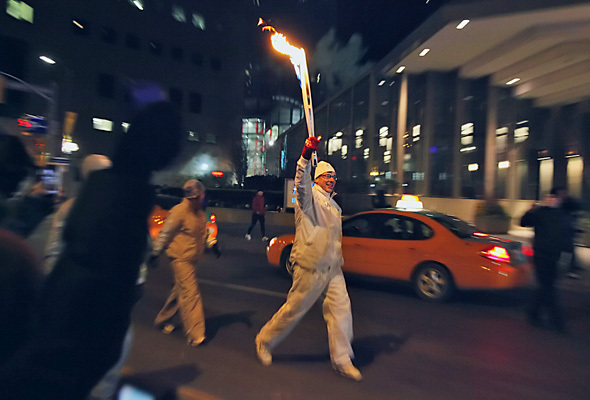 The 2010 Olympic Torch Relay came through Toronto yesterday evening, much to the delight of crowds of proud onlookers. 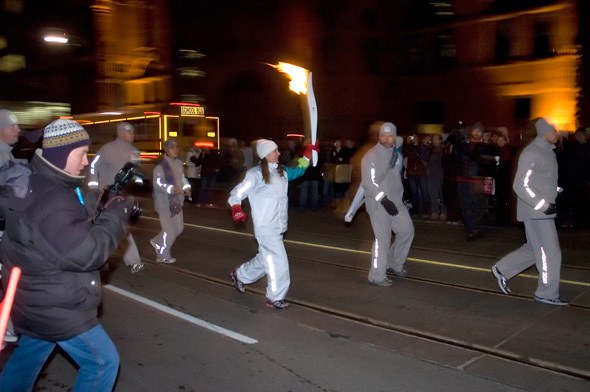 The relay made its way through municipalities surrounding the city before being paraded through the streets of Toronto en route to a celebration at Nathan Philips Square. 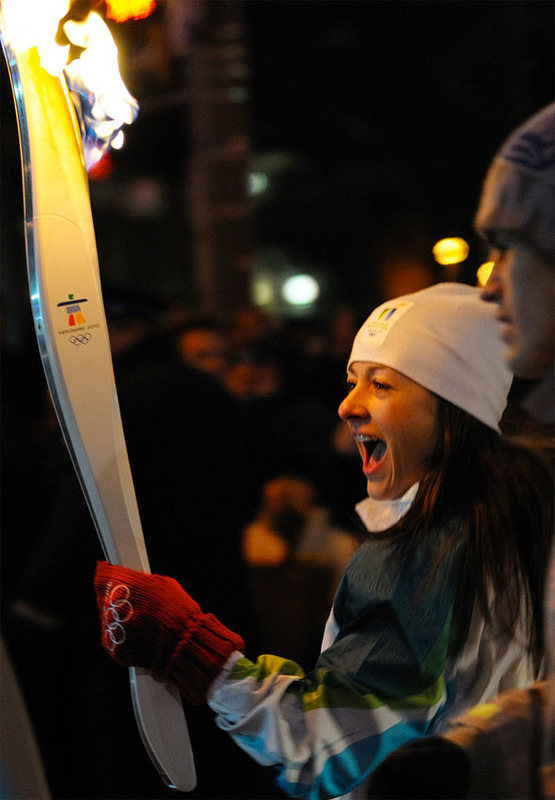 There, the Toronto leg of the relay ended with in the lighting of an Olympic Cauldron (which will remain lit for the duration of the games). 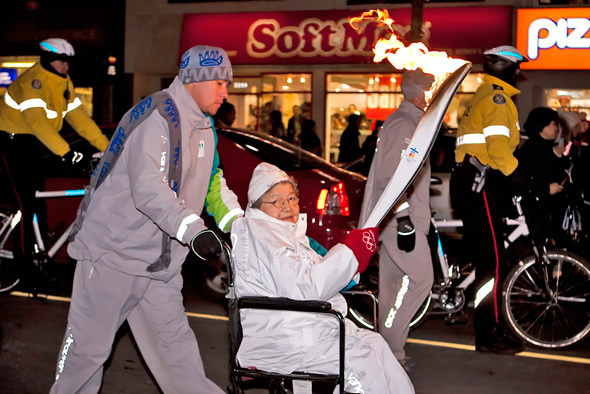 Pictured above is the final Toronto torch bearer Vicky Sunohara lighting the special cauldron (great photo by GBrydson Photography!) and plenty more reader photos that capture the celebrations are compiled below. "Make your dreams come true" by Karan Makvandi. "Pride of a nation in palm of your hand" by Karan Makvandi. 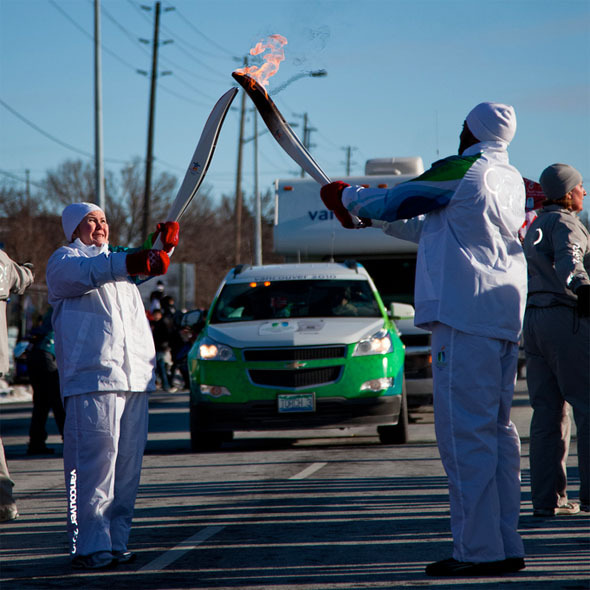 "2010 Winter Olympics Torch Relay -- Richmond Hill" by _aron. "Run With It" by bikeroo. 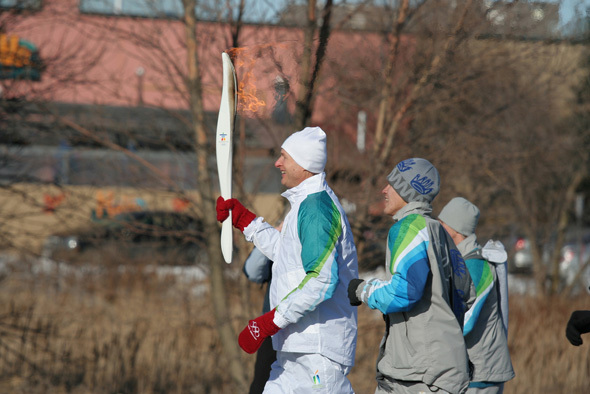 "Torch Runner Dave" by pic_snapper. 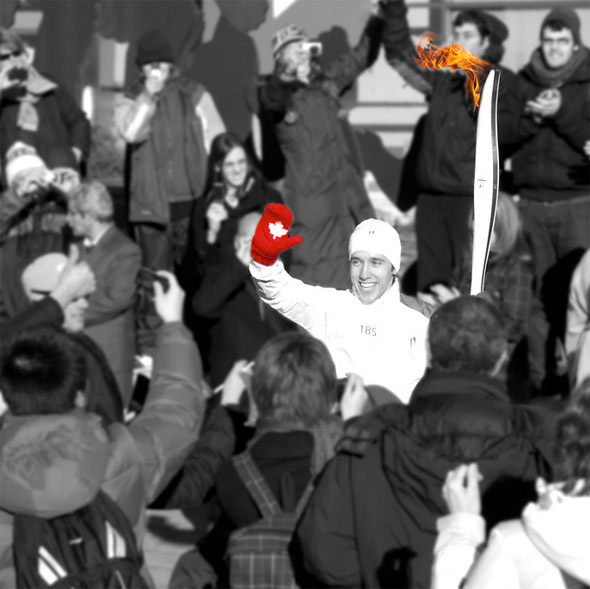 "Olympic Spirit" by See You, Jimmy. 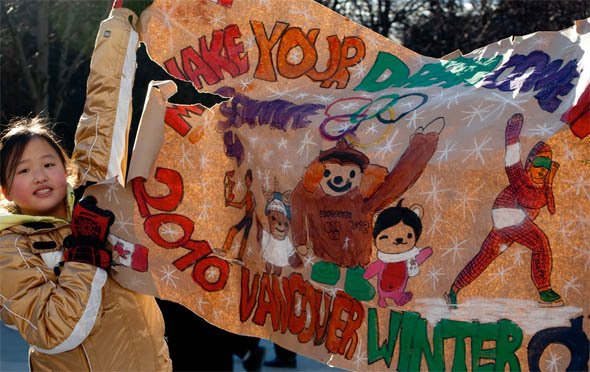 Did you endure the cold and join in on the celebrations? Want your photos to appear in the slideshow below? Simply tag your Flickr photo with: blogto_torontotorch_2009 and it should automatically appear in the collection. And there was a little bit of rain on the parade, in the form of a small but loud protest that managed to force diversion of the icon from its planned route.